An official in China’s south-central Hunan Province took matters into his own hands and used his microblog to report official corruption in China’s Food and Drug Administration (CFDA). He charged that for almost a decade growers of a sweet-smelling herb in southern China have lost millions due to the CFDA’s actions. Lu Qun is deputy director of a Hunan Province anti-corruption office and on Aug. 12 he published a series of 12 posts on his personal Weibo account. Weibo is a Chinese Internet platform similar to Twitter. Lu wrote that in 2005, under then-CFDA Director Shao Mingli, the Chinese Pharmacopoeia Commission changed the name of honeysuckle flowers, or Lonicera japonica, grown in southern China to wild honeysuckle flowers. Honeysuckle flowers grown in northern China retained the original name, and with the name a great commercial advantage. The name honeysuckle flowers has been passed down for over 1000 years in southern China and is deeply rooted, Lu wrote. By changing the name to wild honeysuckle flowers, the price of the herb in southern China has dropped almost 10 times, causing “tens of millions” of loss for farmers growing honeysuckle flowers in southern China, Lu wrote. “[Changing the name of the medicine] seems to be an academic issue, but in fact, it’s a severe corruption issue,” Lu wrote. Lu accused the Jiujianpeng Investment Holding Company Ltd that produces honeysuckle in northeastern China’s Shandong Province of bribing officials at the CFDA. Lu told the state-run Haikou Evening News that he has evidence of Jiujianpeng using 1.3 million yuan ($211,000) to bribe a media outlet in Chongqing in southwestern China to report negative news about wild honeysuckle flowers. “This issue has lasted for very long. Local governments in five southern Chinese provinces—Hunan, Chongqing, Sichuan, Guizhou, and Guangxi—have all appealed to the CFDA to deal with it, but have had no effect. The CFDA is controlled by the interest groups,” Lu told Haikou Evening News. Lu also said that former CFDA director Shao Mingli, a resident of Shandong Province where Jiujianpeng is located, is certainly responsible and involved in the deal. Shao is currently the deputy director of the State Pharmacopoeia Commission. In his Weibo posts, Lu appealed to Shao and the current director of CFDA, Zhang Yong, to resign. However, the Beijing News report said the two types of honeysuckles were described together in China’s Pharmacopoeia before 2005, and after 2005, although the two were given different names, their tastes, meridians, functions, and usage of the two types of honeysuckles were still the same. Over the last 18 months Chinese citizens have seen hundreds of corrupt officials sacked and charged with different offenses. Seeing Lu act as a whistleblower and call for an investigation of the CFDA, they have rallied to support him. “In the past, the honeysuckle flowers had always been called the same name no matter whether produced in the south or the north. 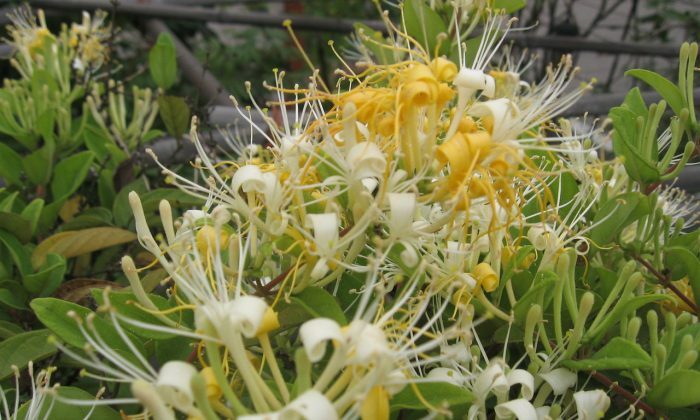 Now some traffickers have bought wild honeysuckle flowers in the south with a low price and sell them as honeysuckle flowers from the north. Isn’t that ridiculous? For what reason did the officials change the name?” wrote an anonymous netizen from Henan Province. So it should be good news if China cracks down on Microsoft and Daimler in order to reduce prices for consumers.